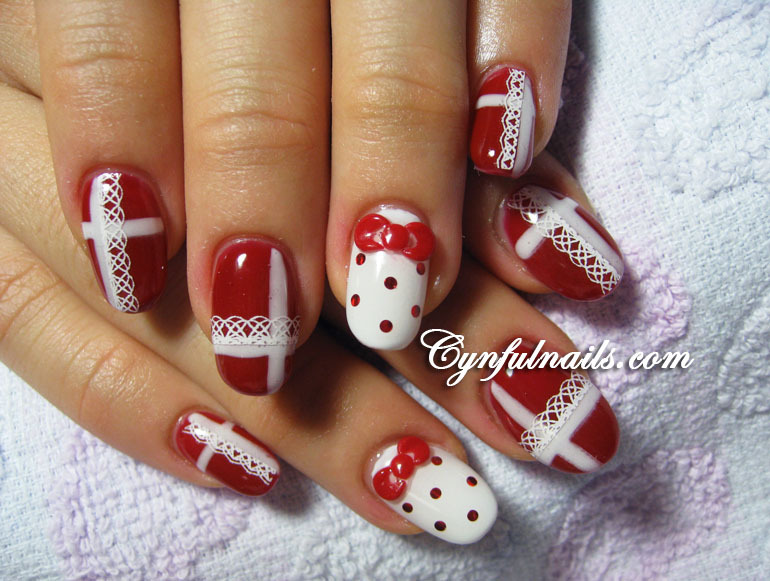 Cynful Nails: Hello. Where's kitty? I'm a big fan of Kitty! 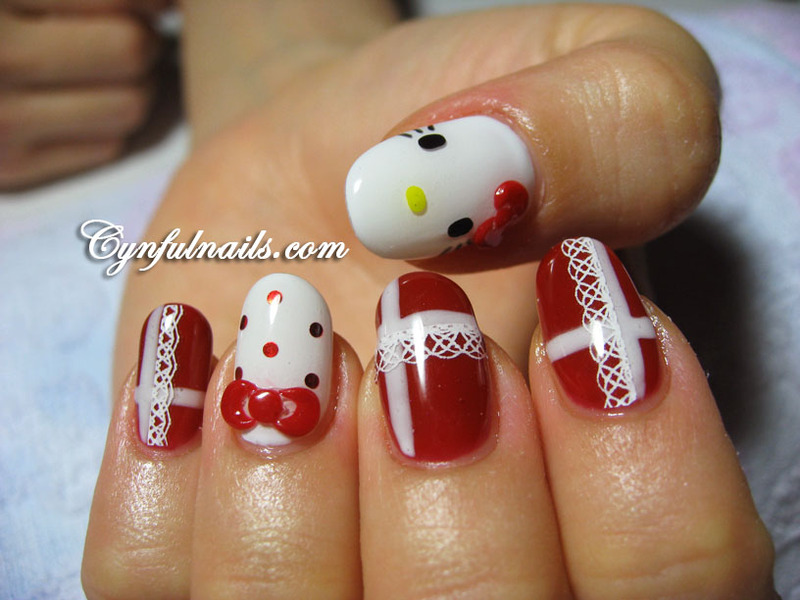 Those nails are completely adorable! You should be doing nails in Tokyo! I love all your nail art !! they are always so sweet! but do paint lace ribbon or do you use stamping?